The Global Report on Internal Displacement found that widespread military offensives in Iraq caused almost 660,000 new displacements in 2016. 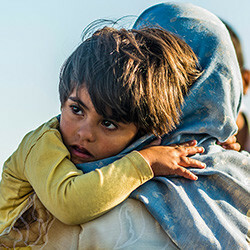 One in ten people displaced by conflict around the world in 2016 were displaced in Iraq, bringing the total number of internally displaced Iraqis to over three million. A growing proportion of Iraqis have also been displaced more than once.